Gothic magazine which also features Tina Winter on the cover. You can now own a copy of "Eminence of Demons" through Stobelight Records' mailorder. The following is Strobelight Records' announcement on the new CD. "Eminence of Demons". VOODOO CHURCH return with a smasher of an album to be released in November 2009! Darker, more melodic and tremendously powerful. 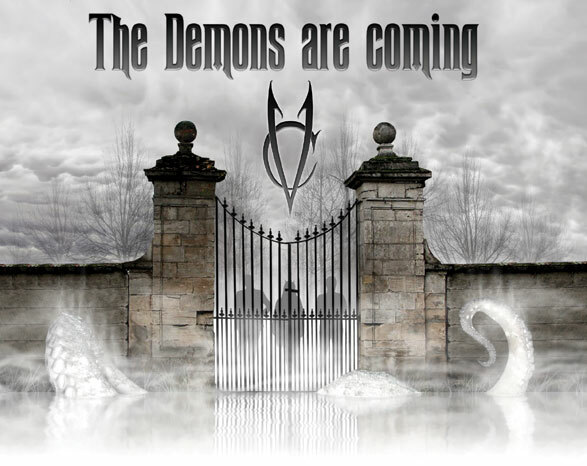 The new album "Eminence Of Demons" unites all the strengths of this exceptional band around TINA WINTER whose unique vocal performance is more captivating than ever before. Furthermore: VOODOO CHURCH's original guitarist/co-founder, BOB REIMER is back! Tina Winter and Bob Reimer's unique blend of song writing not only made a legendary debut in the band's first release but has also made a strong return in "Eminence of Demons". Accompanying Tina and Bob is co-songwriter, RANDALL COLE from "Unholy Burial" on guitar, drums and programming. This new release will also feature amazing guest appearances from, DANNY FRANKENSTEIN (Shadow Project, Electric Frankenstein) on bass and the legendary RIKK AGNEW (CHRISTIAN DEATH, ADOLESCENTS, D.I.) with additional guitars. The songs on "Eminence of Demons" not only picks up where "Unholy Burial" left off but goes further into deeper and darker places. More details to follow soon. We couldn't have said it better ourselves. Thank you Strobelight Records!